ZAMBIA ClimDev Youth Forum climate champion Abel Musumali has advised African governments to invest in renewable energy while improving the continent’s early warning system and capacitating youth African scientists. This is because 75 percent carbon dioxide emitted in the atmosphere comes from energy. At a panel discussion on Climate science and climate policy linkages: what has worked for Africa and why? Musumali says achieving the 2°C limit as scientific evidence has indicated will require that global net emissions of greenhouse gases approach to zero by the second half of the century. “Successful transitioning to a low-carbon economy will require unprecedented global cooperation,” Musumali added. And World Climate Applications Division at the World Meteorology Organisation (WMO) Professor Buruhani Nyenzi added that Africa has more scientists in methodology and climate science now than it used to have in the 1970s when climate change became a topic globally. “I do not think we lack scientists, we have institutions that can give us the right information. But we do not take it seriously. What we are missing in climate talks is coordination of information,” he said. Director at the Institute for Environment and Sustainable studies college of Basic and Applied sciences from University of Ghana Professor Chris Gordon said lack of respect for African climate scientists by policy makers is one of the major obstacles to negotiate with relevant evidence at global climate change negotiations. Prof Gordon says the lack of expertise and gap in communication among different actors is among the reasons Africa has lagged behind in the global climate talks. “We need evidence to support what we talk about at global climate negotiations. We need to do in depth vulnerability assessment, impact analysis on gender to have Africa relevant agenda whenever we go to such global negotiations,’ Prof Gordon said. And African Development Bank (AfDB) and coordinator ClimDev- Africa Special Fund Justus Kabyemera said Africa has not been able to access various climate financing because of its various challenges. “These include poor institutional arrangement, lack of capacity, absence of reporting monitoring and evaluation mechanisms,” Mr Kabyemera said. He called for harmonisation of systems, managing results for mutual accountability and the involvement of private sector through the creation of public private partnerships. Reports show that Africa is the least contributor of greenhouse gas standing at only 3.8 percent of the total greenhouse gas emission. However, African countries are among the most vulnerable to climate change. The climate talks taking place in Tanzania are part of African climate talks aimed at preparing message for the COP21 meeting in December. 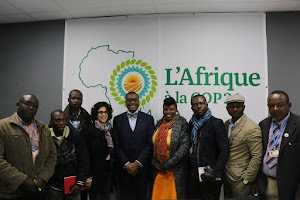 The Africa climate talks concludes on Saturday 5th September after coming up with declarations which the African negotiators will use in Paris later this year.